The prime minister has promised to put ‘the whole machinery of government’ behind the Northern Powerhouse and said she is ‘absolutely committed’ to devolution. 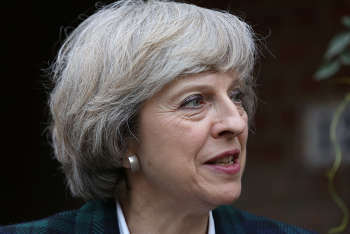 Ms May said the Government was investing record amounts into transport for the North, including ‘spending £13bn on improving infrastructure by accelerating the upgrade of key roads like the M62 to four lane smart motorways, as well as exploring projects to join up the great cities like faster east to west rail connections’. She said this ‘means better transport within cities like Manchester too, such as helping roll out Oyster card-style ticketing across Greater Manchester’. In her article, the prime minister cited the ‘historic’ devolution of power from Westminster as ‘another crucial part of our commitment to the North’. Ms May said Greater Manchester had ‘led the way and is now in charge of its £6bn health and social care budget [and] has the ability to form a single pot for economic growth’. Last week former chancellor George Osborne said the Northern Powerhouse agenda had suffered from uncertainty after Ms May’s appointment. ‘Let's be honest, there was a little bit of a wobble when we had the new administration as to whether they were still committed to the concept of the Northern Powerhouse,’ he told the BBC Today Programme. Surveyor Events has confirmed a one-day conference in Manchester on 10 November specifically designed to prepare local government for the transition towards regional transport planning. Successful Regional Transport 2016 will feature keynote speakers including David Brown, chief executive of Transport for the North and Cathy Miller deputy director for cities, policy and delivery at the Department for Transport. Click here for the conference programme and to register.